In order to offer a better customer service platform for all home delivery enquiries, we have set up a new phone number and web page for all of you newspaper home delivery needs. Please remember if you require a re-delivery, we must be notified on the above contact details by 9.30am, any missed papers reported after this time will be credited to your account. 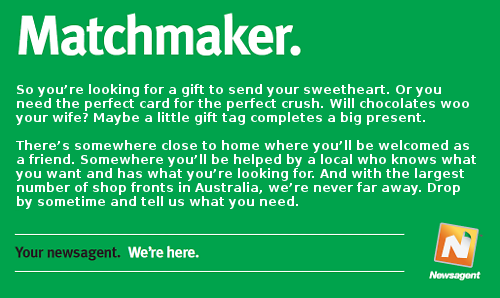 •	report a missed delivery. 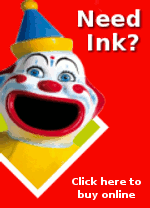 As of Monday 13th May 2013 Patterson Road Tatts, News and Post will have new trading hours. We will now be closed on Sundays and Public Holidays. Newspapers and a range of magazines are available from IGA X-press, right opposite our store, to meet your needs on Sundays and Public Holidays. 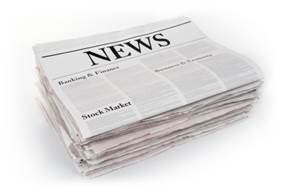 For all enquiries regarding your newspaper deliveries see our new contact details on the front page. Contact for newspaper delivery enquiries is available directly to our distribution hotline, including Sundays & Public Holidays and online at www.pattersonroad.com.au. The official AFL Team 2013 Football Cards are once again proving to be very popular and we have new stocks in-store now for you to continue to build your collection. 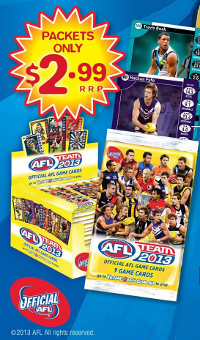 Team 2013 AFL Football Cards are now available for just $2.99 a pack. 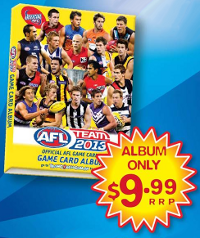 The AFL Team 2013 Game Card Album is also available for $9.99.